A photograph of three children of different ages, possibly siblings. 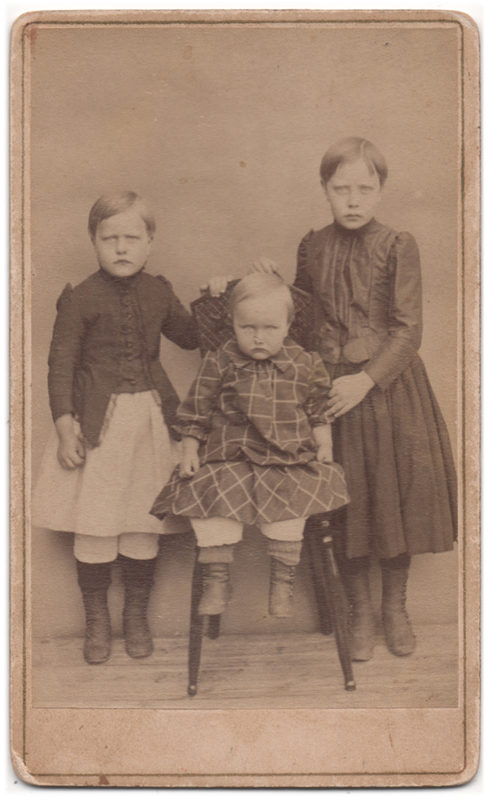 The older girls stand beside a chair on which the youngest child is seated, and all three are frowning at the camera with very serious expressions. Either having one’s photograph taken is very serious business for the girls, or they have just been struck by some misfortune, such as a photographer that has tried to make them smile by calling them “raisin-eyes” (this happened to me once as a child and it did not make me want to smile – the mental image of having raisins for eyes still haunts me). 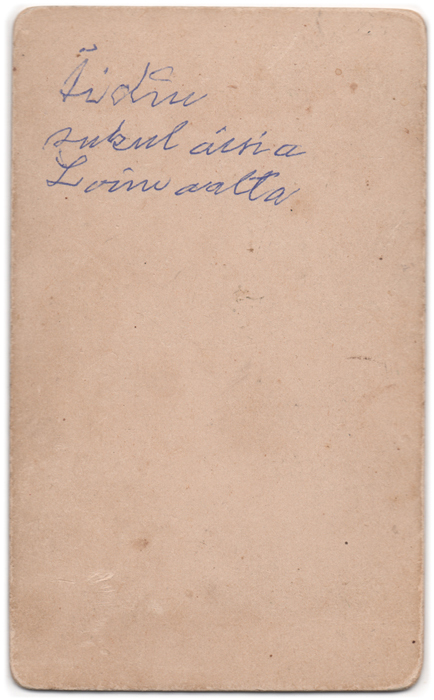 There is no clue of the photographer, but someone has written on the back of the photo with rather shaky handwriting that the girls were “mother’s relatives from Loimaa”, which suggests the picture has been taken in Loimaa, Finland. My guess is the photograph has probably been taken sometime during the 1880’s.